Support a culture of dialogue on campus with Crossing Borders Education resources. Join Arnd Wachter, founder and director of Crossing Borders Education, and Webster University faculty facilitators for a one-day program designed to support and ensure effective use of CBE intercultural resources. The CBE curriculum package is designed to link intercultural learning and diversity training through intentional activities to support a deeper level of transformative learning, enable the development of key skills such as empathy, curiosity, critical thinking, and global awareness, and stimulate interest in studying abroad. 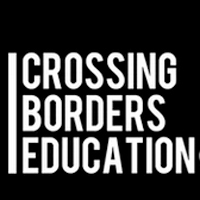 The Crossing Borders Education curriculum package provides activities, film clips, and facilitation guides to directly support curricular implementation and extracurricular programs. Together with Webster staff and faculty we will brainstorm effective ways to include intercultural sessions into the curriculum. We will also develop how the materials could be adapted to your academic needs and how to inspire active student participation. Additionally, we will explore the role and expectations of faculty as the facilitator. The conference takes place Thursday, May 19, 9:30 a.m. - 4:30 p.m. in the University Center, Sunnen Lounge (175 Edgar Road 63119), the day after the Global Citizenship Program Collaboratory. The CBE Conference is hosted in conjunction with the Global Citizenship Program Collaboratory (held Tuesday and Wednesday, May 17-18). Faculty and staff may attend one or both of these conferences. The CBE conference is free for Webster University faculty and staff. The CBE Curriculum Program includes three intercultural films: Crossing Borders, The Dialogue, and American Textures; the Facilitator Manual, Video Package, and specialized Toolkits with Facilitation Guides including Intercultural Interactions, Initiating Interracial Dialogue, and American Textures. The Crossing Borders Education Conference is sponsored by the Center for International Education, the University Library, the Faculty Development Center, the Global Citizenship Collaboratory, and the Multicultural Center and International Student Affairs (MCISA). For more information, please visit the MCISA website or contact Bethany Keller, assistant director, MCISA at bethanys@webster.edu or 314-246-7649.